Oahu, one of the Hawaiian Islands, is a gorgeous place in the South Pacific that is home to the city of Honolulu, Hawaii's capital. 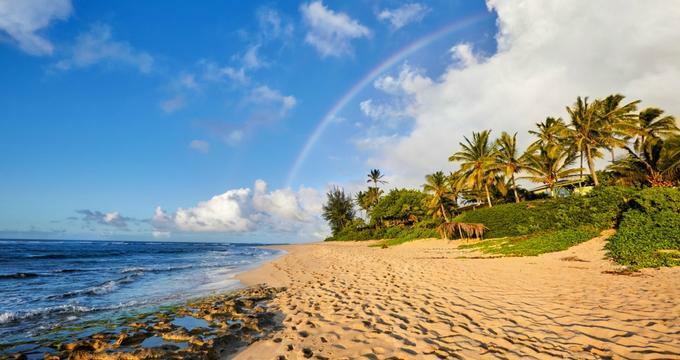 Visitors to Oahu can enjoy the stunning and sunny beaches, where they can take surf lessons, go parasailing, relax in the sunshine, or explore the gorgeous nature of the cliffs, mountains, and valleys of the islands via horseback or on an ATV. It's also an island full of culture, and guests can explore museums or interactive parks detailing the history and culture of the Polynesian people, or visit the naval park, which was the site of the infamous Pearl Harbor attacks that brought the US into World War II. 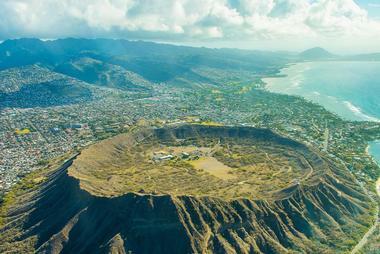 The massive volcanic crater known as Diamond Head is over 300,000 years old, and the massive ridge around its edge is said to resemble the dorsal fin of a tuna fish. 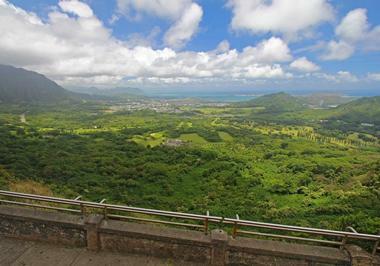 A trail leading to the top will allow hikers the opportunity to obtain some breathtaking views of Honolulu and the Pacific Ocean. The hike takes about 1.5 to 2 hours round trip and includes some steep ascents over rocky terrain as well as a long staircase near the top. The park itself is open daily until 6:00pm, but hikers are not admitted after 4:30pm, to allow everyone enough time to make it to the top and back down again. Boasting the title of the largest art museum in Hawaii, the Honolulu Museum of Art features more than 50,000 items in its collection. On display in the museum's galleries is art from all over the world, from Japanese woodblock prints to classical European paintings. 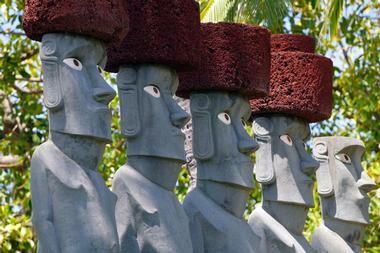 The museum also displays Hawaiian art, and all of its items range in medium from paintings to sculpture to textiles. The museum is open 6 days a week, from Tuesday through Sunday from 10:00am until 4:30pm, and offers a variety of fascinating tours led by knowledgeable docents. The Honolulu Zoo is another relic of a bygone era, as the only zoo in the US that began by the decree and donation of lands by a royal ruler. It was begun in 1876, and in the centuries since, the 300-acre plot of land has grown into a thriving and world-class zoo. The Honolulu Zoo features animals from all over the world, including endangered species like the black rhino, Asian elephant, and cheetah, as well as many animal species that are native to the Hawaiian Islands, like the Hawaiian hawk, the black crowned night heron, and the pueo Hawaiian owl. 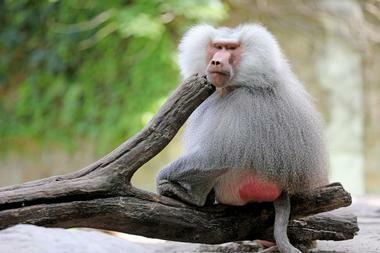 The zoo offers a number of programs for groups, field trips, summer camp, and more. The Iolani Palace represents the final days of the Hawaiian monarchy. Built in 1882, the palace was the home of King Kalakaua and his sister, Queen Liliukalani, until the monarchy was overthrown in 1893. 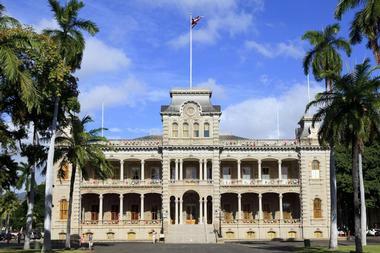 It is an iconic part of Hawaiian history and, in fact, the Iolani Palace is the only official royal residence located in the entire country of the United States. Visitors can explore the palace to see original decor and furnishings, and learn about the people who once lived there. The palace is open for guided tours, and after exploring the palace reception halls and private suites as well as the throne room, guests will enjoy a wander among the paths and gardens of the palace grounds. Located in downtown Honolulu, inside the regal Capitol District Building, the Hawaii State Art Museum explores art and Hawaiian culture through a variety of visual media. Visitors will enjoy the exhibits, which feature paintings, photographs, and more, as well as the visual sculpture garden, which is located in an area that was once a swimming pool. The sculpture garden features pathways that wind through elements of sculpture, paintings, architecture, and natural art, so guests will be surrounded by beauty in every way. The Hawaii State Art Museum is open from Tuesday through Saturday, from 10:00am until 4:00pm, and admission is free. 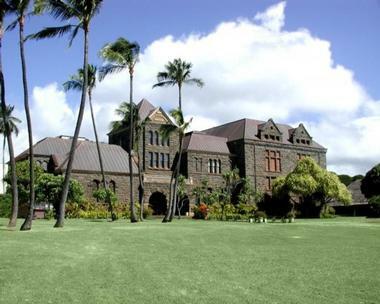 The Bernice Pauahi Bishop Museum is a history and science museum located in Honolulu. Founded by the bereaved husband of the last remaining Hawaiian princess of the Kamehameha family in 1889, the museum's collection contains hundreds of the personal belongings and family heirlooms of the royal family as well millions of other documents, items, and artifacts pertaining to Hawaiian and South Pacific history and culture. Visitors to the Bishop Museum can learn all about the cultural history of Hawaii as well as the history of humankind in the South Pacific Islands. The museum is open to visitors 7 days a week, from 9:00am until 5:00pm. 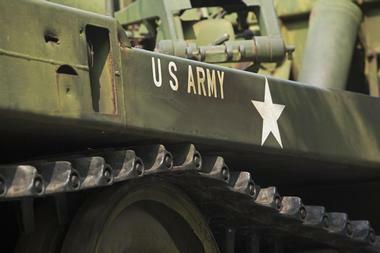 The US Army Museum of Hawaii is located at Fort DeRussy, which was once a stronghold for the island state's defense. The museum today houses exhibits depicting Hawaii's military forces throughout history, from the first settlers to the islands over 1,500 years ago all the way through to the Vietnam War. Exhibits focus on ancient Hawaiians, feudal weapons, the first US military camps on the islands, and the unique challenges presented by the defense of a group of islands instead of a large mainland. 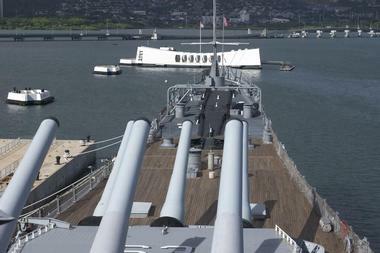 Visitors will learn about the attack on Pearl Harbor, which sent the United States into World War II, as well as the other wars in which Hawaii played a part afterward, like the Korean War and the Vietnam War. Despite what many people believe when they travel to Hawaii, it is not the original land of the pineapple, which is native to Brazil and was brought to Hawaii during the 19th century. The guides behind Hawaii Food Tours will dispel that particular rumor, along with many others, on this expansive tour of some of the best food in Hawaii. 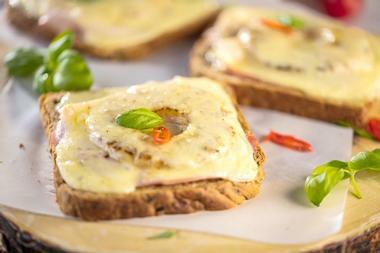 Guests can choose from the North Shore Food Tour, which showcases country food in Hawaii, or the Hole in the Wall Tour, which takes guests to some of the best bakeries, cafes, and other delicious stops in Honolulu. Tours last approximately 5 to 6 hours, with pickup and drop-off directly from your hotel, and ticket prices include food and transportation. 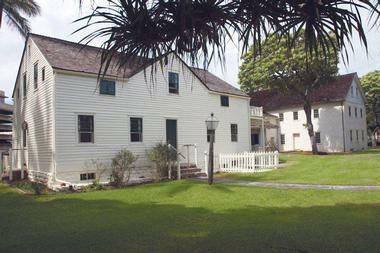 Visitors to the Hawaiian Mission Houses Historic Site and Archives will step out of the modern era and into the past. There are three houses on site, and two of them are the oldest houses in Hawaii. By exploring these structures and the recreated scenes within, guests will gain an understanding of life dating back to the early 19th century for missionaries doing their work in Hawaii. The interactive museum contains a replica of Hawaii's oldest printing press, a recreation of a depository, and many more unique artifacts. The museum is open Tuesday through Saturday from 10:00am until 4:00pm, and offers guided tours on the hour. The sensation of parasailing is indescribable, one of freedom and thrilling adrenaline coursing through your veins, as you soar above the sea feeling the wind in your hair. At Hawaiian Parasail, visitors can experience the rush for themselves with a safe and experienced team who have been in the business for over 40 years of smooth sailing. 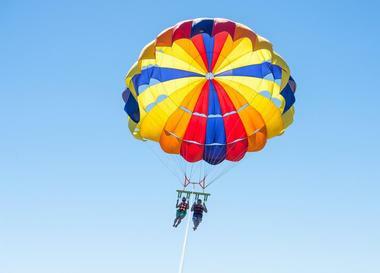 Guests can choose the length of line they want to parasail from, the amount of time they want to go, and whether they'd like to go alone or with friends. There is a maximum of three people or 500 lbs. allowed at one time, and children must be above the age of 5. Once the summer home of Hawaiian King Kamehameha III, the Kaniakapupu Palace was built in 1845, and once contained a massive stone porch, several buildings for kitchens and other services, and a huge main room where the king relaxed and slept. There was also a garden and a temple, and together it created a beautiful respite from the summer heat and from the rest of the world. But today, all that is left are some crumbling stone walls where it once stood and is now being slowly reclaimed by Mother Nature. 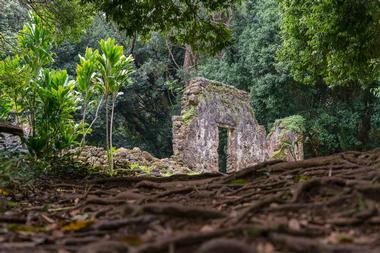 The Kaniakapupu Ruins can be reached via a short hiking trail called the Lulumahu Hiking Trail. 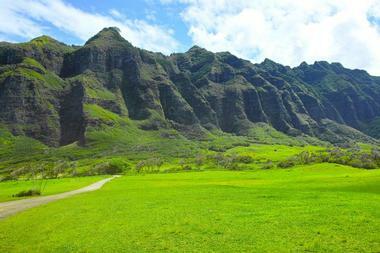 At Kualoa Ranch, guests can ride horses through the mountainous trails of Oahu's hills and valleys, take an ATV tour through the mountain ranges, or hop on a catamaran to see Oahu from the water. This Hawaiian eco-tour company offers guests the opportunity to see the natural beauty of Hawaii, and also to have a brush with fame. Fans of the Jurassic Park movie franchise will love the Jurassic Jungle Expedition Tour, which leads visitors through some of the locations where the movie was filmed, while the Movie Sites Tour Oahu will guide guests through the Ka'a'awa Valley, where over 50 Hollywood films and tv shows have been made. 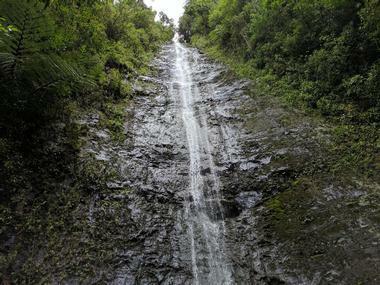 After a 1.6-mile hike on the Manoa Falls Trail, visitors will find the rushing cascade of the Manoa Falls. This tall waterfall reaches heights of 150 feet, and water pours from the top of a sheer cliff down into a pool of water. The small rainforest where Manoa Falls is located receives rainfall almost every single day of the year and is prone to flash flooding. The falls are quite beautiful, and the area is home to a number of native plant species. Guests are asked to refrain from swimming in the pool beneath the falls due to both the risk of rockfalls and certain bacteria in the water that can cause leptospirosis. At the Moanalua Gardens, visitors can explore the 24 acres of grounds, which feature green spaces and walking paths. The gardens are also the site of the Kamehameha V Cottage, which was built in the mid-19th century and was once home to Prince Lot Kapuaiwa, a Hawaiian royal who later became king. 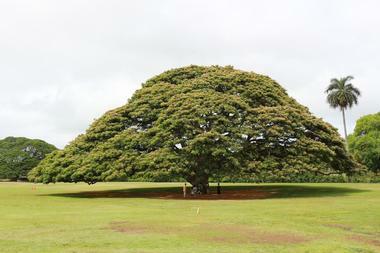 Also on the property is the Hitachi Tree, a large monkey wood tree with a canopy shaped like a giant umbrella. This tree, and its distinctive shape, is an icon of the gardens and is protected as an exceptional tree by Honolulu's government. The gardens are open daily from 7:30am until sunset, and admission costs $3.00 per person, with discounts for military personnel and children. 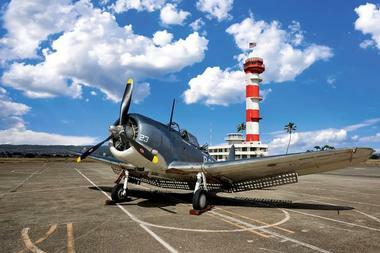 The Pacific Aviation Museum at Pearl Harbor features a massive collection of historical aircraft from the past century. In a series of massive hangars, visitors will learn what life was like in the Hawaiian Islands before December 7, 1941, and gain a sense of the chaos that the attack on Pearl Harbor initiated. The museum will walk its guests through the decades that followed through the lens of aviation: the planes that were used in World War II and beyond. Visitors will even have the opportunity to try their hand as a fighter pilot in one of the museum's flight simulators. At the Polynesian Cultural Center, visitors can explore and learn about the culture and life of traditional Polynesian people throughout history. Six traditional villages will lead guests on an adventure through the islands of Samoa, Aotearoa, Tonga, Fiji, Tahiti and, of course, Hawaii, where they will learn the art of hula dancing and traditional drumming, see examples of traditional tattoos and typical structures of homes, paddle in canoes, and sample some delicious foods. In the evening, guests can sit back and enjoy a traditional luau feast, complete with a night of performances by fire dancers, drummers, hula dancers, and more. 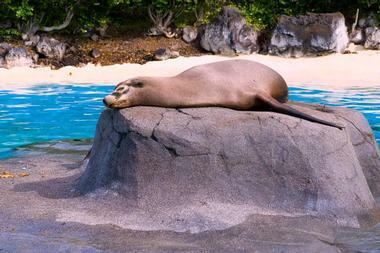 At Sea Life Park Hawaii, visitors can experience a day with some of the most fascinating marine creatures in the world. There are many different experience packages available, including several options for interacting with and swimming with dolphins, and even taking a dorsal or belly ride with these astounding mammals. Guests can also choose to immerse themselves in a shark tank with up to three specimens of shark native to Hawaii, or say hello to sea lions and maybe even receive a kiss. Experiences are available for families, groups, and single participants, and for those who wish to observe the animals from a safe distance, Sea Life Park Hawaii also offers a number of thrilling and educational shows with animals and their trainers. 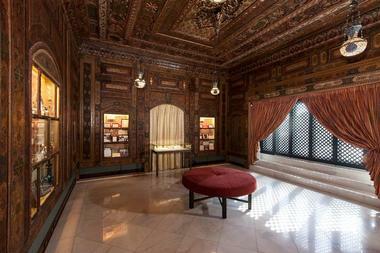 Shangri La is a museum devoted to the art and design of Islamic culture. 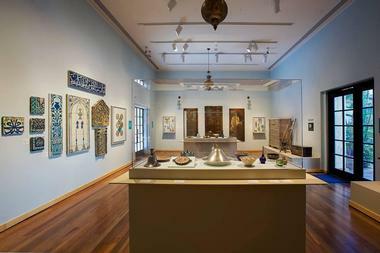 The collection at the museum includes over 2,500 items from countries like Morocco, Spain, Egypt, Syria, Iran, and many more. Visitors will find beautiful handmade tilework, ornately designed furniture, brightly patterned textiles, and beautiful carpets. Guided tours of the museum are offered three times a day from Wednesday through Saturday, and must be reserved in advance either online or by phone. 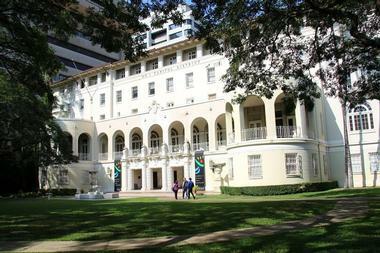 The tour lasts about 3 hours total and begins at the Honolulu Museum of Art. With the help of her trusty dogs Kaya and Coco, surf instructor and lifeguard Suzy has been helping visitors to Oahu learn to surf for over 20 years. Located on the island's north shore, guests will love the opportunity to get away from the massive crowds at Waikiki, and furthermore they'll love the waves as they learn to navigate them. Suzy specializes in teaching children and beginners, but guests of all ages are welcome at her surf lessons. There are many options to choose from, and guests can take group or private lessons or even take part in a week-long surf camp to really get the most of their surfing experience. 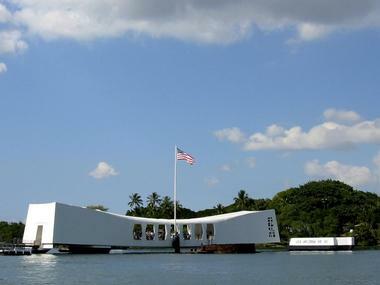 The USS Arizona Memorial is part of a US National Park memorializing the attack on Pearl Harbor. The Arizona itself was a battleship that tragically sunk during the attack, and the memorial is located directly over the wreckage of the ship. Visitors to the memorial can explore the museum to view exhibits about World War II and the USS Arizona, with displays featuring personal artifacts, recollections, and testimonials from people who witnessed or were part of the events that day. The USS Arizona Memorial Program takes about 75 minutes and includes a documentary and a boat ride out to the site of the sunken ship. The USS Bowfin is a submarine vessel that was an active part of the military during World War II. The sub was first launched exactly one year to the day after the attacks on Pearl Harbor, and so she earned a moniker as the Pearl Harbor Avenger. 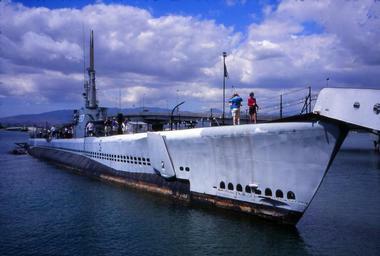 The Bowfin is one of only 15 surviving submarines from World War II, and visitors who wish to explore the sub can do so in Honolulu. A variety of outdoor and indoor museum exhibits will teach guests about the Bowfin's history in World War II, and show many other artifacts of military importance, including torpedoes, a conning tower, and a jet-powered cruise missile. The USS Missouri is a decommissioned battleship with an illustrious history. Built during World War II, the USS Missouri is the very ship upon which General MacArthur stood with representatives of the Empire of Japanese as they signed papers of surrender and officially ended World War II. The USS Missouri went on to have an illustrious career in American warfare, serving in the Korean War and Operation Desert Storm before being retired on the 50th anniversary of Pearl Harbor. Visitors to the battleship can tour its corridors and cabins and learn about the ship's history through a number of educational exhibits. Waikiki Aquarium has been open to the public since 1904, making it the second oldest aquarium in the entire United States. Visitors can experience marine life in the South Pacific, with exhibits on coral reef ecosystems, Hawaiian marine communities, and fish from the Hawaiian Islands. 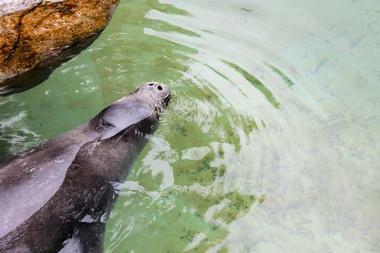 There's even a habitat for the Hawaiian monk seal, a highly endangered species of seal that is native to the region, featuring two male seals who were rescued as pups and now have their home at the aquarium, helping to teach visitors about their species. Everything from plants to invertebrates to predatory fish are featured at Waikiki Aquarium, and guests will enjoy learning about each of the individual species represented here. 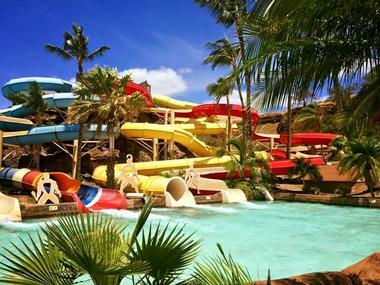 At Wet'n'Wild Hawaii, guests can enjoy more than 25 fun and thrilling water attractions, including waterslides and pools, in a stunning tropical setting. Set amongst the natural cliffs and lush greenery of Hawaii's gorgeous nature, Wet'n'Wild Hawaii is a waterpark that will provide fun for the whole family. Rides and attractions are rated in three ways: chill, moderate, or extreme, and guests can plan accordingly based on what kind of adventure they are looking for. From a relaxing float on the lazy river to a simulated surfing experience on Da' Flowrider, guests will experience a day full of sunshine and fun. In the evenings, they can even join Chief Sielu Avea for a traditional Polynesian luau.